Today we are going to learn how to make Jasmine slippers. The tutorial is rather easy to follow. The instructions are delivered clearly and carefully. 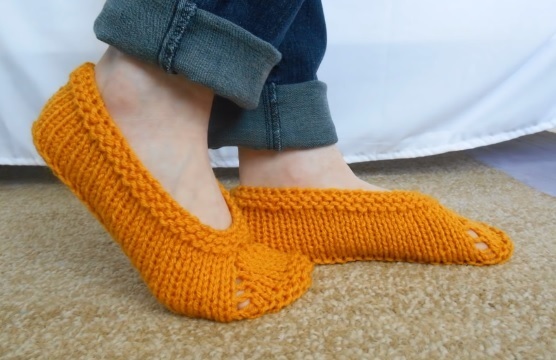 Following the steps clearly described in the tutorial you are going to make yourself these slippers within the matter of some half an hour maximum. The slippers don’t look as great prior to wearing, however when you put them on, they stretch and become truly a piece of a beauty. Very wearable, quite durable and so very cozy – these slippers are surely going to serve you good. Make sure to come back for more tutorial alike. Enjoy this one meanwhile.